The final week of our charity challenge is now fully in gear! Thank you all so much for your donations, and support during this campaign. Rachel and I are thrilled in the interest this year and we appreciate you all following along supporting us. If you’d like to donate to our campaign in support of Toronto’s Sick Kids Hospital please check out our Extra Life campaign page. A reminder of where we are at in the competition: We are on night 2 of week five. Going into this week we are tied two weeks a piece. Whoever wins this week will be the ultimate board gaming champion in our household. 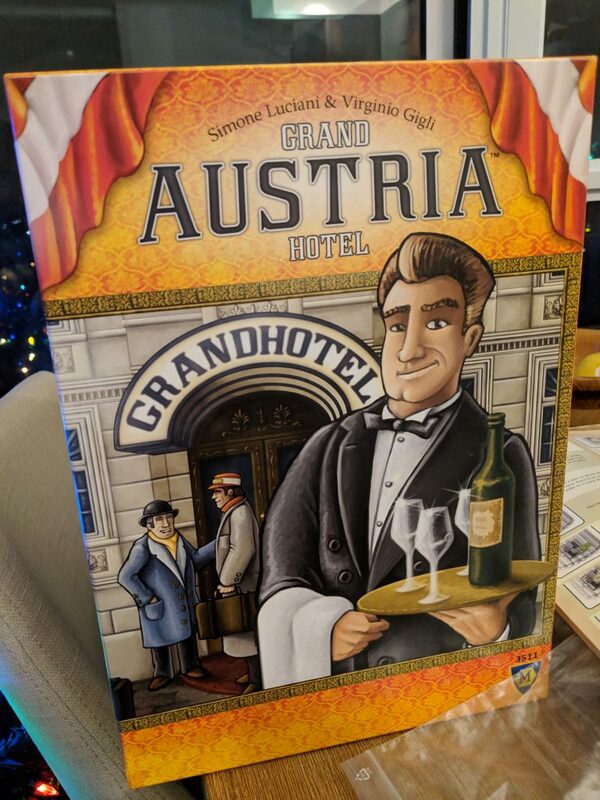 In Grand Austria Hotel you are running a hotel, meeting the needs of guests and planning how you arrange them within your hotel. There’s bonuses and goals based on the types of guests you bring in, how you arrange them, etc. There’s quite a bit going on and I think I’m best if I leave a rules explanation for a full video break down, available here. The emerging theme this week is hubris (after my Clank greed episode last night), and so it went tonight. Grand Austria was supposed to be a trap for Rachel and at first it was playing out in my favour, as Rachel slowly started to get a grasp of the game. 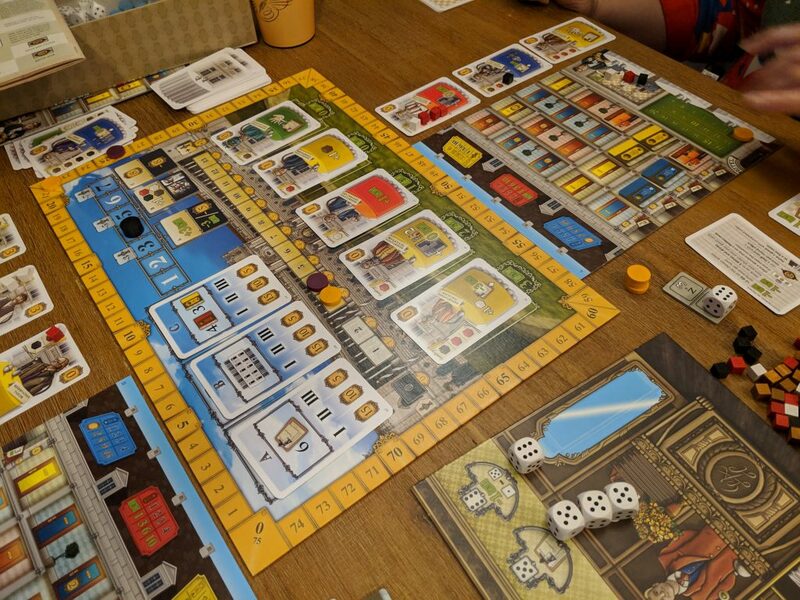 Rachel’s hotel had a big point bonus if you managed to place 4 guests of a certain type beside each other and while I was working on getting an engine and a few long term plays going she focused solely getting that point bonus. Suddenly she was ten points in the lead after struggling to keep up with me and then the dice started to dry up and life got real difficult in Austria. In the end I really struggled with the last few rounds (just couldn’t get any dice rolls to give me what I needed) and I ended up with a huge -23 point penalty in the last round based on guests I hadn’t been able to get in a room and missing the last big emperor track scoring (a scoring track you need to manage that if you don’t get far enough up, you suffer a negative consequence – minus eight points in our game). The final score? 87 to coughcoughcoughcough37coughcough in Rachel’s favour. Wow. 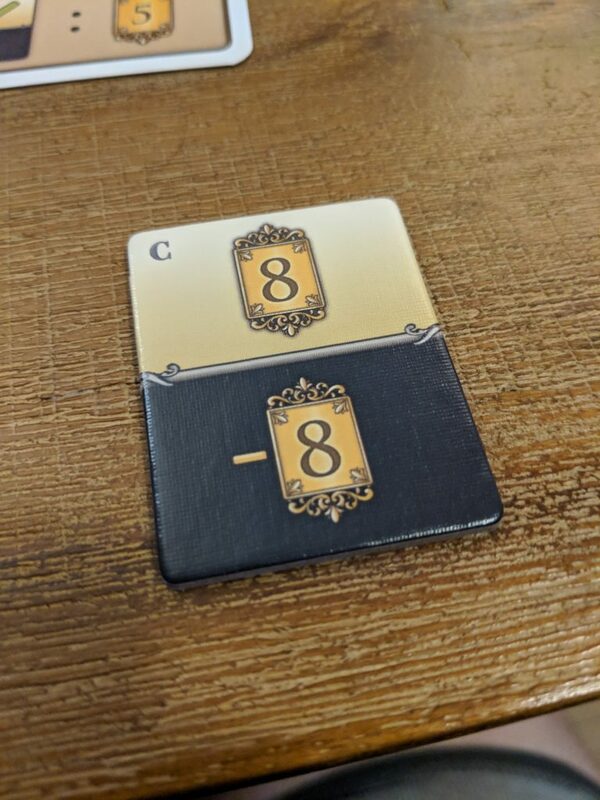 I double checked with some friends who have played the game quite a bit and this is far and away the worst losing score anyone had recorded. My heavier game gambit blew up in my face and Rachel is now 2-0 on the week, just a win shy of taking the entire competition. See you tomorrow for a must win game!